Use Free Wifi – Now a day everyone have android phone,they are using the internet on that even they use internet calling But sometimes our data pack to get over then what we do because no any shop is near by us or shop is near us we don’t have money so what we do on that time. So guys in this article I will show you how to use free wifi network anywhere and everywhere at free of cost. 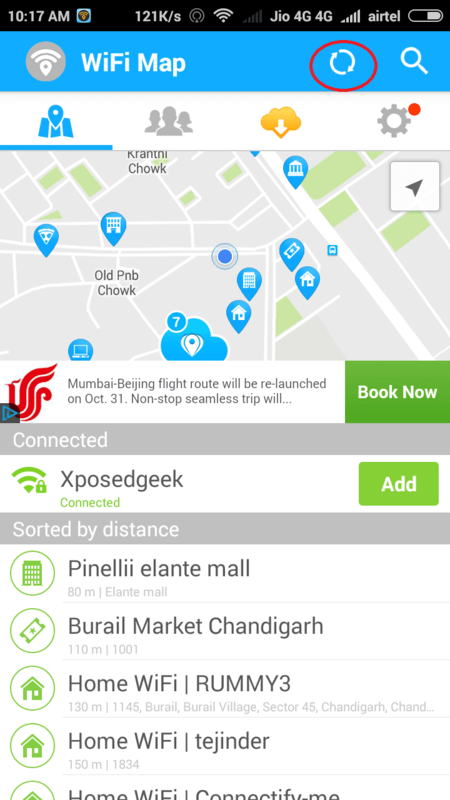 In this post, i will talk about wifi app which helps us to get wifi password everywhere in India also in another country. Sometimes we want to stay connected with friends over chatting application like WhatsApp and Facebook messenger but whenever we leave our house, only we have option left, data pack but if our luck is bad then we can’t use that data pack because our data pack has already covered in this situation only two options left, buy data card either use public WiFi. But the question arises about the password. Also i have seen many people want to learn how to hack wifi password with some apps. But this guide will help you to get wifi password without any third party software or apps. As we know that the WiFi becomes a basic need for every user who wants to download bigger files over the internet, using the internet at unlimited data usage and working online in every case we need fast internet access which is not possible with data pack or recharges. So we need wifi, supposed you are wondering outside and then you want to mail urgently to your office then what you will do because, you don’t have internet access outside even your Android phone has not sufficient data for sending mail with the attachment of a file, in this case, WiFi help a lot. Let’s take my example in case of WiFi and internet access, when I bought a new Android phone I was very excited about using free internet even I don’t spend money on data card because of limit and being an android geek I am always spend my time using My phone so in this case 50 -100 MB will not satisfy me. So I need wifi connection which provides me the huge amount of data and provides me unlimited access with high speed. WiFi map is an android app which has lots of data regarding wifi networks. 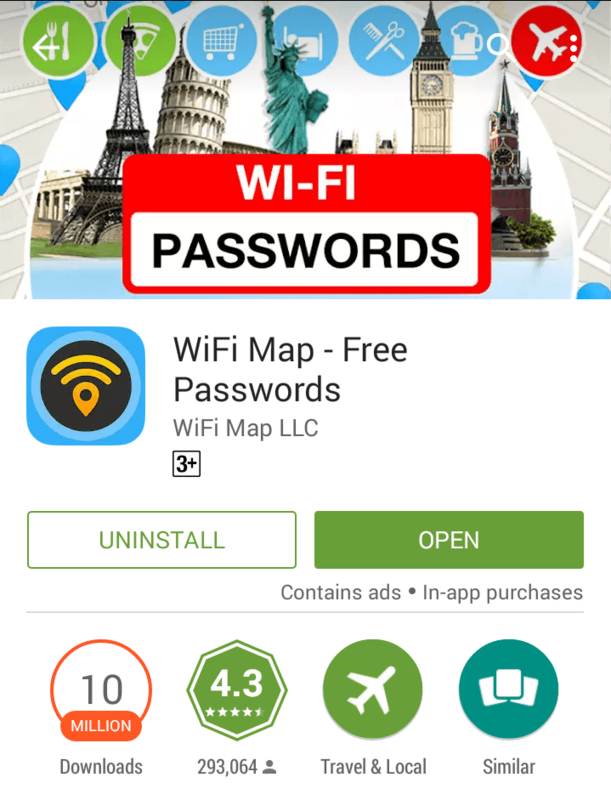 WiFi map contains thousand and lack of free WiFi password on its application. It helps us to get a WiFi Free connection anywhere when we don’t have data pack. 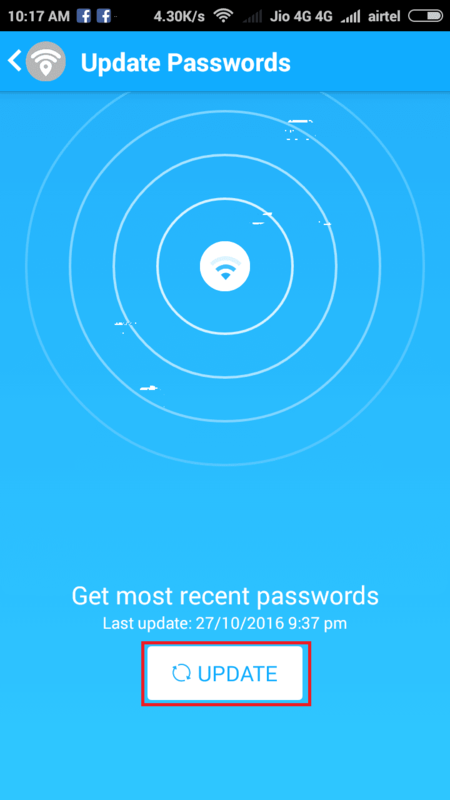 In this app, you can set the location and get the WiFi hotspot password easily without facing any difficulty or asking for anyone. The app most popular on play store. It is top 1st in 50 and contains 6,000,000 wifi hotspot. The USA, Canada Mexico America, Europe Asia, Russia-like country wifi password stored in it. This guide is for educational purpose so Keep in mind, using others wifi is an illegal activity and shoutricks does not support any illegal thing. Use this trick at your own risk. A simple tap on any WiFi which of password you want to know. Enjoy the free WiFi anywhere. Final, you almost learned how to get free WiFi networks anywhere. The second method, manually setting the location by going the third tap and then choose the country like India. You can also share the password of current network on Wifi map app. So guys in this post I have mentioned how to use free WiFi anywhere in India or else other countries. With the help of WiFi map app, you can get the WiFi password easily without facing any problems. 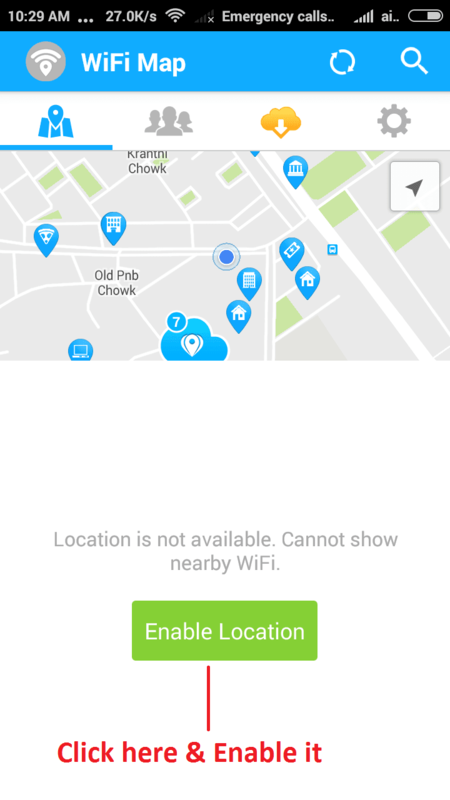 The WiFi map app lets you enable for using free WiFi anywhere even provides free WiFi hotspot, Now you don’t need to ask wifi password of the public network from another one, use this app and start playing with the app. I hope You guys like this article, and I think this article would be helpful for you. If you think this article is informative and want to share with your friends then share it on Facebook and WhatsApp group. I hope it will beneficial for your Friends.